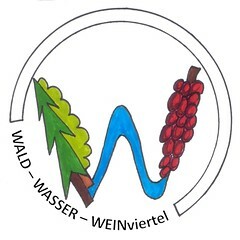 WEINVIERTEL … wine yards are an important part of the agricultural area, but wine also stores information of the weather of its vintage: the time of grape harvest, its quantity and its quality. Wine has always been an important product of the region – so there are records on these data available in archives. In contrast to the trees of the forests, wine includes information about summer temperature. The combined analysis of tree rings and wine harvesting to reconstruct the climatic history of a region is a new approach and a collaboration of different scientific fields is necessary. The insights of these analyses are important for the present time and the future of this region. The pupils (farmers, foresters, scientists and inhabitants of the region of the future) will be part of this project. Pupils will have the opportunity to take part at each step of scientific work: starting with sampling, measuring, statistical analyses, their interpretation and conclusions. The continuous measurement of climate will show the high variability of precipitation. The pupils’ interest in their environment and in science itself should be fostered by their participation in this project.